One of my highlights from 2009 was Fen's "The Malediction Fields", a stunning effort from an underground British band melding black metal with progressive and atmospheric elements to create a deep and meaningful record worth repeated listens. Two years on and we have the release of their sophomore record, "Epoch", but how does it compare in scope to it's illustrious predecessor? Opening with the brooding and understated title track Fen clearly have no desire to blow your head off with scything black metal from the first instance, instead choosing to gently welcome listeners in with their sombre, moody inclinations before "Ghost Of The Flood" kicks off, The Watcher's screams knocking towards a Wolves in the Throne Room/Wodensthrone-esque tempo, however it is not long before Fen's Agalloch-ian tendencies take hold and the song slows to a more relaxing and progressive tempo. In many ways, this theme, which typifies Fen's songwriting across the 8 lengthy tracks on "Epoch" (six being 8 minutes or longer), holds them at odds with the great many of BM's characteristics but the authenticity with which Fen meander between varying elements at free will is the thickest string in the bow. The under-used clean vocals of The Watcher, which first peak their head in "The Gibbet Elms" and "Half-Light Eternal", reflect further progressive tendencies in Fen yet despite all of this they remain best when really letting go of the brakes and bounding forward with their dark, WITTR vibe, as evidenced in parts of "Of Wilderness And Ruin" and "Half-Light Eternal". Ten-minute "Carrier Of Echoes" pushes the use of keys and acoustic guitars further to the fore while "A Waning Solace" drifts along more serenely than anything since the opening title track. Closer "Ashbringer" picks up the pace from where earlier proceedings left off to recall a harsher, Wodensthrone edge to their atmospheric riffing and hammering but these moments never last long enough, invariably being reduced to a mid-speed before their full effectiveness has really been felt. 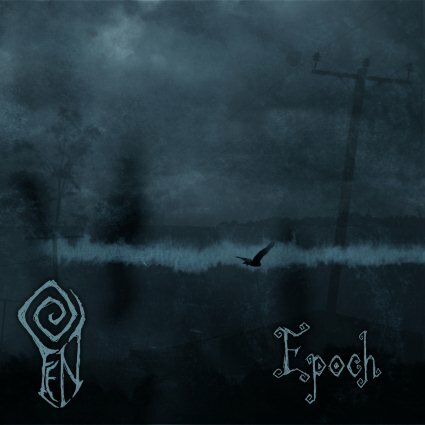 Eventually "Epoch" finishes as a record that doesn't quite meet it's potential but Fen's natural artistry flourishes enough to secure "Epoch" as a more than decent record, though I can’t help but feel a tightening of the songwriting is what separates it from some of the other records in their atmospheric black metal field.